This is an opportunity for press to taste a variety of Anderson Valley Pinot Noirs. 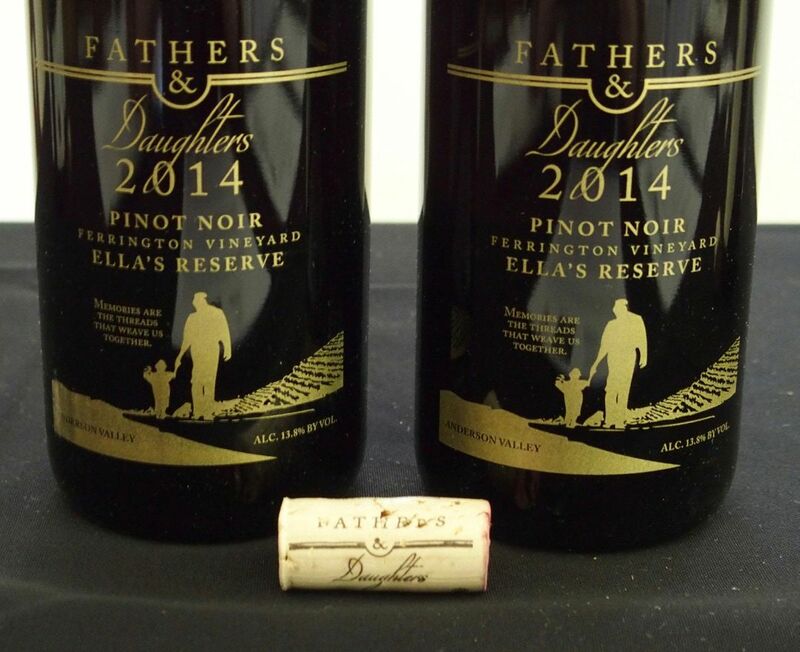 Not every Anderson Valley producer submits a wine for tasting and the vintages of wines offered for tasting varied from 2010 to 2015 making comparisons more challenging. Like the ambiance of the Anderson Valley, everything is laid back. Located at 39 degrees latitude, the Anderson Valley appellation is located in northwestern Mendocino County along Highway 128. As the crow flies, the Anderson Valley is 10 miles from the Pacific Ocean and 15 miles in length, and opens to the Pacific Ocean via the Navarro River. There are fourteen varieties of wine grapes grown in the Anderson Valley, primarily Pinot Noir, Chardonnay and Gewürztraminer. Approximately 2,500 acres are planted to wine grapes with 91 vineyard properties having a median vineyard size of 11.5 acres. The climate is mostly Winkler Region I (the coolest). Soils are bedrock Franciscan sandstone. 61 bonded wineries are members of the Anderson Valley Winegrowers Association, all using Anderson Valley fruit. There are 28 wineries with tasting rooms in the Anderson Valley. 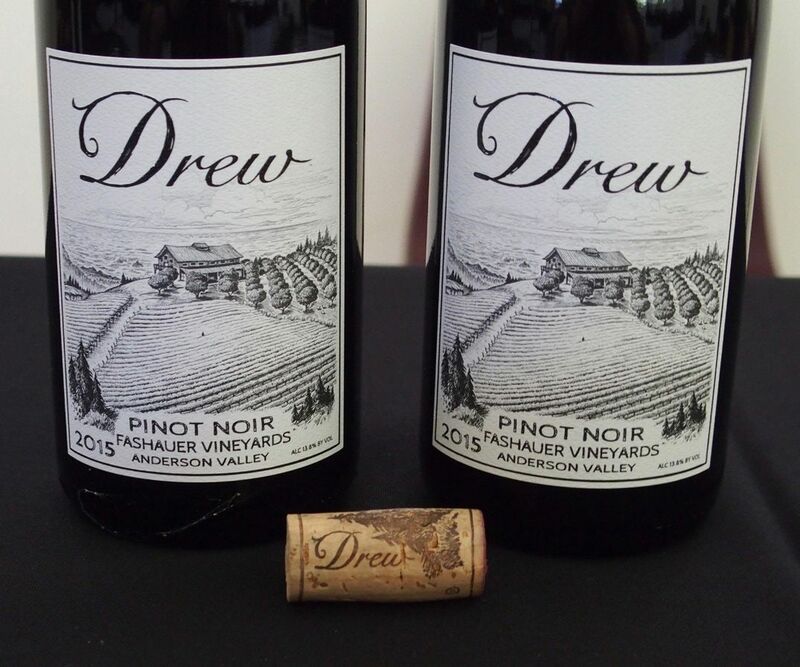 Stylistically, the Pinot Noirs of Anderson Valley are difficult to get a fix on since the winemaker’s imprint is on many wines and the resultant styles vary from low ABV and minimal to no new oak use, to ripe-fruited, high ABV wines with significant new oak use. Being a cool growing region, bright acidity, particularly if the grapes are harvested at lower Brix, is a prominent feature. 2013 Ideal growing season with moderate temperatures and no rain or heat extremes. Growing season started early and ran about two weeks ahead of most previous years. Water for irrigation was scarce. Acidities were elevated at harvest. 2014 Third drought year in a row. Dry winter (driest on record) and warm spring with some storms, early bud break, early harvest, lower yields. 2015 Early bud break long flowering period during cold, rainy and windy weather reducing yields. Small crop of concentrated fruit. Early harvest in August. 2010 Harmonique Delicacé Anderson Valley Pinot Noir 14.1% alc., pH 3.68, TA 0.60, $46. 90. 2010 Harmonique Elegancé Anderson Valley Pinot Noir 14.1% alc., pH 3.70, TA 0.60, $48. 89. 2010 Harmonique The Noble One Anderson Valley Pinot Noir 14.2% alc., pH 3.68, TA 0.63, $39. 91. Harmonique is unique among California wineries in that its current releases are from the 2010 vintage. Vineyard sources include Ferrington, Conzelman, Klindt and Oppenlander. The three wines offered for tasting at the Grand Tasting progress in extraction from Delicacé, the most elegant and red fruited, to The Noble One, the most concentrated and dark fruited. Veteran Robert Klindt is the winemaker. The wines are just beginning to show tertiary characters yet are still fresh and should maintain another five years at least. Moria Conzelman is a fresh face at every Anderson Valley Pinot Noir Festival and mans the winery’s tasting room in Boonville. 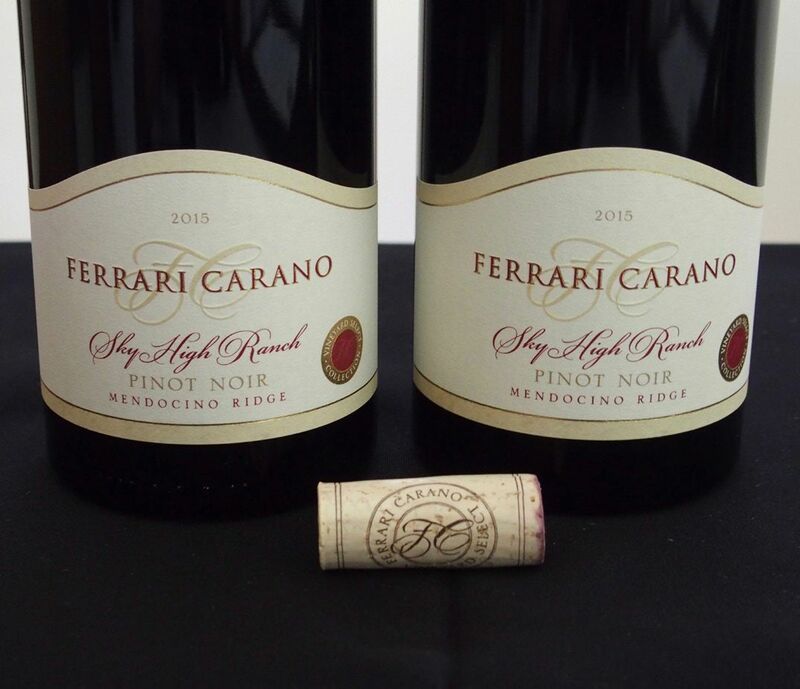 The 2011 vintage wines will be released in the fall 2017. Other wineries participating in the 2017 Anderson Valley Pinot Noir Festival Grand Tasting at Goldeneye Winery: Ardzrooni Family Wines, Artevino/Maple Creek Winery, Black Kite Cellars, Brutocao Cellars, Copain Wines, Expression, FEL Wines, Goldeneye, Halcon Vineyards, Husch Vineyards, La Crema, Littorai Wines, Lula Cellars, MacPhail Wines, Maggy Hawk Vineyard, Maryetta Wines, Navarro Vineyards, Pangloss Cellars, Panthea Winery & Vineyard, Roederer Estate, Scharffenberger Cellars, Smith Story Wine Cellars, Twomey Cellars, Williams Selye, WindRacer Wines, Witching Stick and The Withers Winery.